For downloads, please follow this link to CD Baby where you can also listen to samples of each track. Cost is $9.99 (approx £7.50) for download. If you would like a CD of the album please use the following PayPal button. 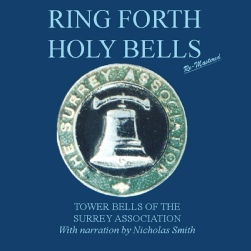 A collection of Tower bells in Surrey recorded for the first time on one album. It includes narration throughout by actor Nicholas Smith.